Hello March. Every March 1st I bake this Devil’s food chocolate birthday cake to celebrate my Grandmother. 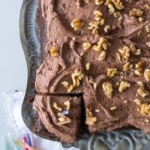 She is famous for her moist chocolate cake with chocolate icing always topped with chopped walnuts. I am fortunate to share her birth month and her name. Cecile Stephens Dearden is one of my greatest inspirations in the kitchen and out. Once again March has rolled in like a Lion reminding me it’s time to pay tribute to this wonderful woman and her Devil’s food chocolate birthday cake. 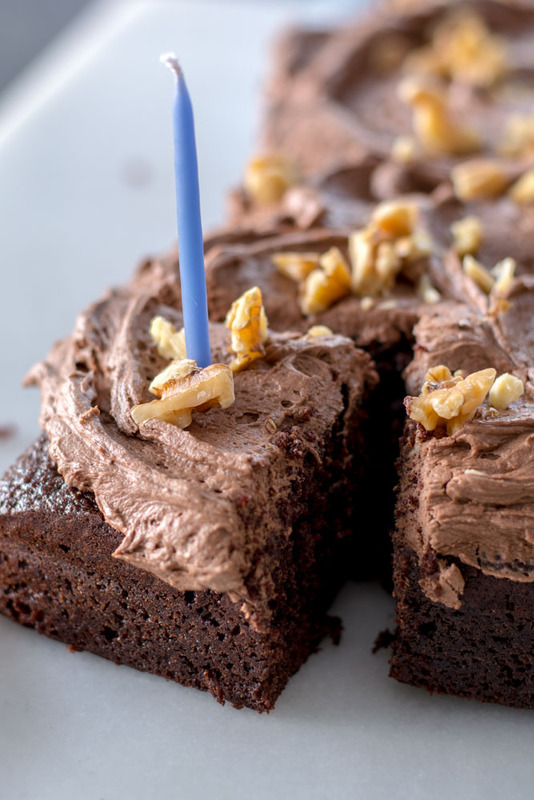 I have reposted this Devil’s food chocolate birthday cake because it’s such a simple one bowl cake. 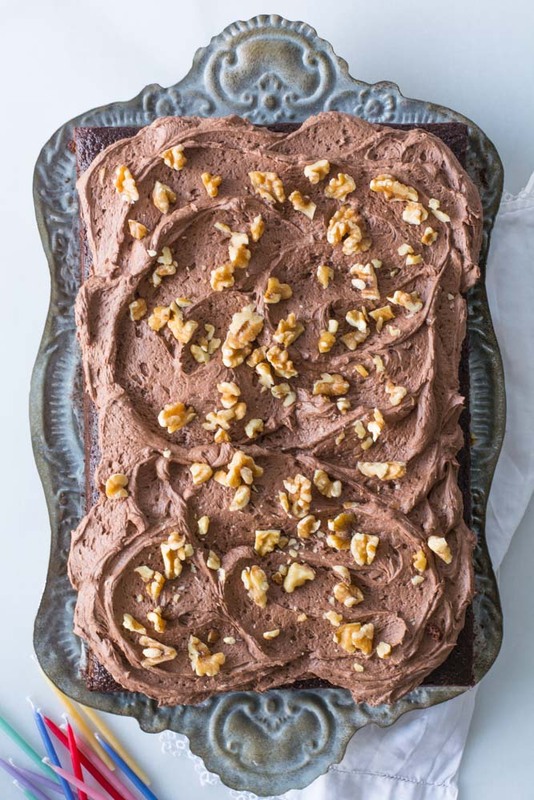 This cake can be whipped up faster than it takes to drive to the grocery store to buy a cake mix. You can find the step-by-step photo’s and instructions by clicking this link for Devil’s food cake. This will soon be a family favorite in your home too. 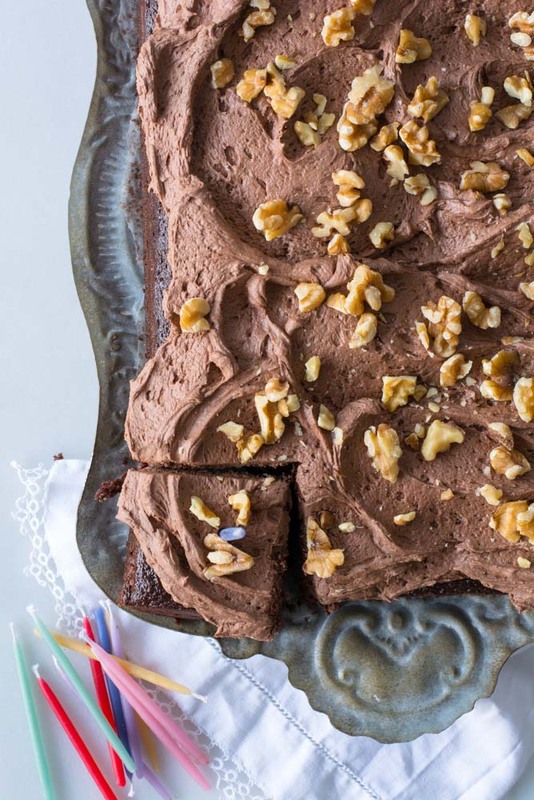 Easy one bowl chocolate cake. Moist and delicious every time. Grease and flour two 9-inch cake pans or a 9 x 13-inch baking pan. Set aside. Sift together flour, soda and salt. Set aside. In a large mixing bowl cream butter, cocoa and sugar for approx. 3 minutes. Add eggs and vanilla and beat until smooth and creamy. Add sour cream and mix until smooth. Add flour mixture and mix just until blended. Slowly add boiling water and beat until smooth. Bake in a preheated 350 degree oven for 25-30 minutes or until cake springs back when lightly touched. Cool in pans for 10 minutes. Invert to a cooling rack to cool. Bake cupcakes for 18-20 minutes. In a mixing bowl, blend butter. Add cocoa, 3 cups of powdered sugar, salt and 4 tablespoons of milk. Mix until smooth. Scrape down the sides of the bowl and add vanilla. At this point check for consistency. If you would like your frosting thicker add the extra powdered sugar. If it needs to be thinner add more milk. Spread over cooled cake. Sprinkle with chopped walnuts. 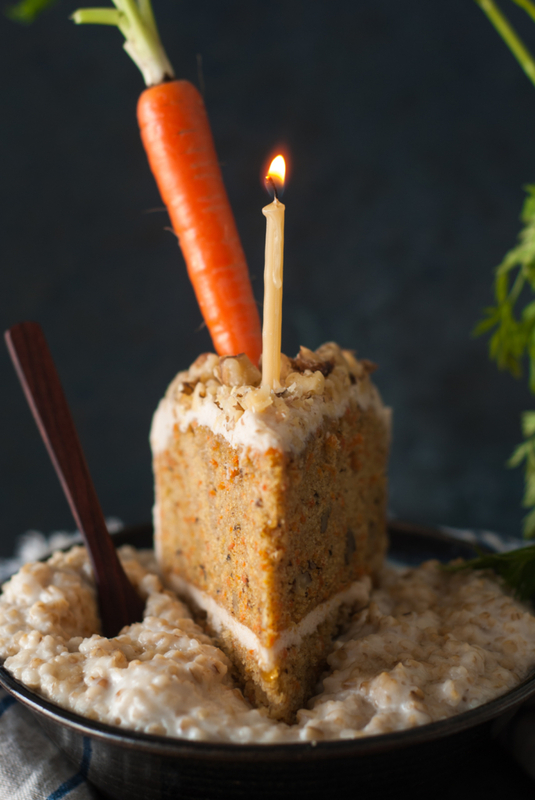 Last year to celebrate my birth month I posted my version of carrot cake oatmeal. It’s a winner. Check out the post here Carrot Cake Oatmeal. I love the addition of the walnuts! Happy birthday cecilE! She was a great woman, and leaves a wonderful legacy. I love your cake pan. Hi Judy, I love your CecilE with an “E”. I miss her. Thank you so much for your kind comment. She was a grand lady.